Should Be Paddling The Birds! ~Al, the Koupon King, has struck again. Barb’s hubs finds the best deals! 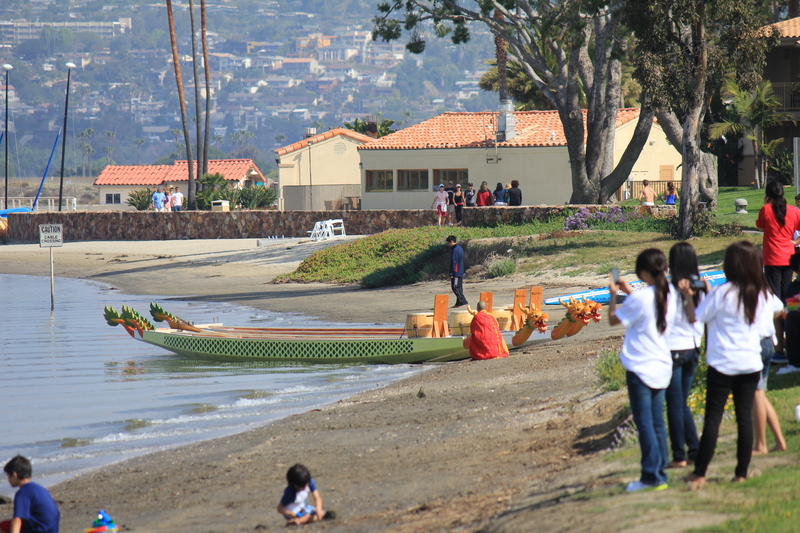 This time it was a twofer for kayaking in San Diego’s Mission Bay. Hurray! My hubs, Alan, and I were invited. Note: Barb and I both married Allan/Alans and both got married in September of 1972! This is sort of a 40 years celebration. Her hubs is Al mine is Alan. Anyway……. both my hubs and I have wanted to kayak so this was exciting. 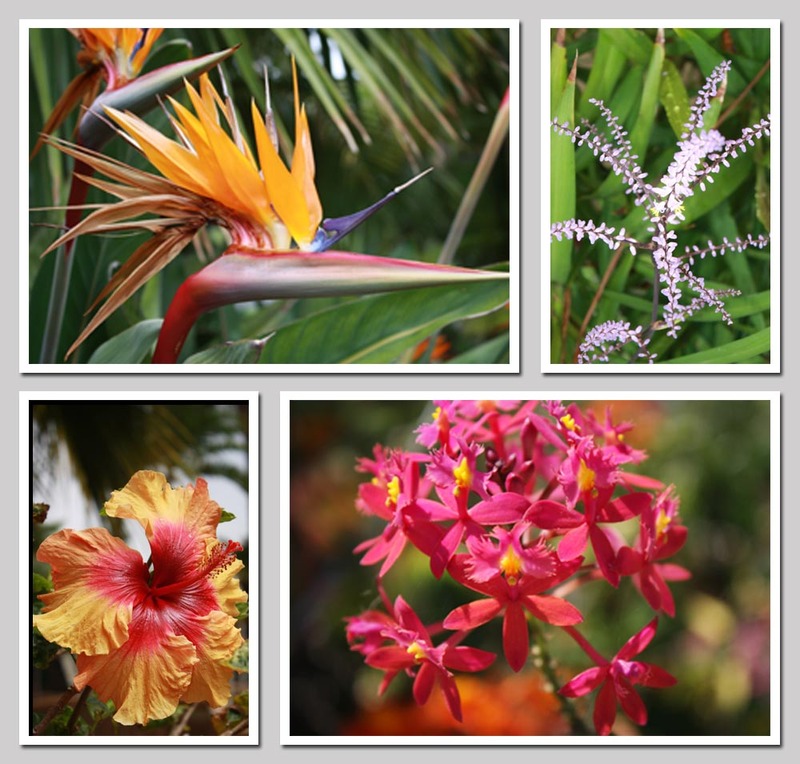 But, I have a confession – I’m apprehensive around water. One of my earliest memories, at age 2, was being fully dressed with a wool sweater on walking at the beach in Santa Barbara, Ca. I was walking by the water when a wave knocked me over and I was pulled along as it rushed back to the ocean. I can still feel that terrifying moment being dragged to the sea with parents laughing. That feeling does stay with me. When I was in my pre-teens, my parents had a pool installed. I did swim in it, but I’m not a strong swimmer, unlike sister Barb. So…. yesterday when the first wave hit us I almost had a heart attack telling my husband we had to go back. He talked me down and once we really started going I had a blast! I did wear a life vest the entire time, they aren’t required on kayaks. Al did too! You can tell who the safety conscience ones are! 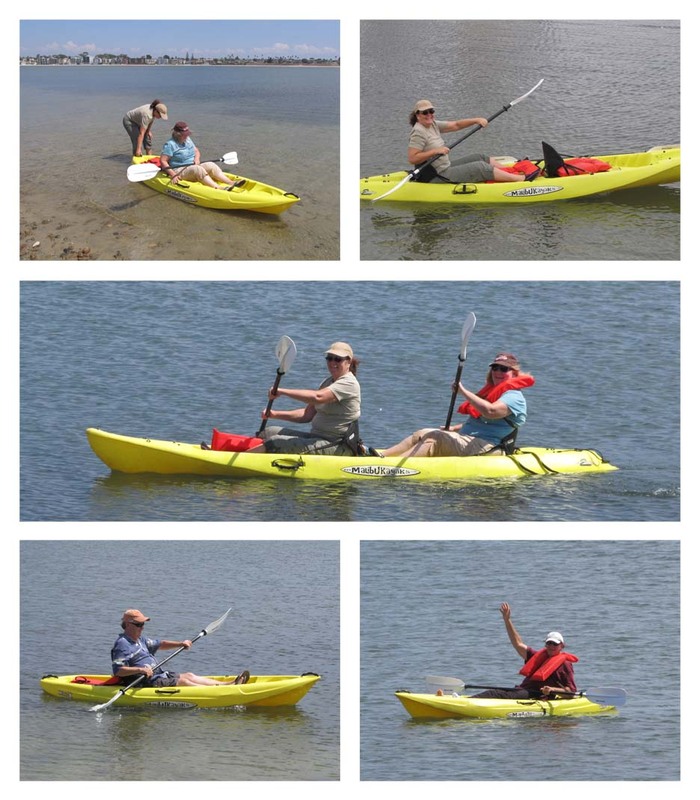 While braving the wilds of the ocean in double kayaks, ok the bay, Barb and Al were in one and Alan and I in the other. Their friend had a single which we all tried. The single is really easier to maneuver. In the morning it was overcast and windy with the tide rushing out making it easy going out towards the ocean, but a lot of arm muscle was used paddling back against the wind and tide. After lunch, Barb and I kayaked together keeping close to the shore as we followed/watched birds. Barb’s Al is waving goodbye to us as he proceeds to venture out into other parts of the bay. 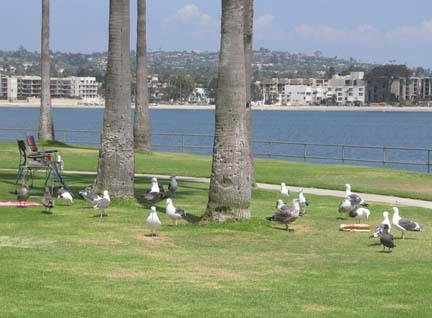 My Alan was on the “protect-the-picnic-area-from-the-gulls” duty after lunch. The rest of us were going back out. Barb and I wanted pics so he came down for the beach launching. 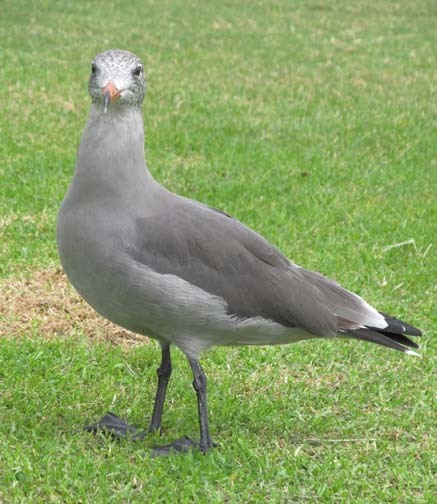 A huge herd of gulls came swooping past us heading for our picnic site. HUGE! By the time Alan rushed back, they had already emptied an almost full back of tortilla chips. You can see the empty bag, on the right, which the birds had dragged away from our area. I’m lucky they didn’t try to drag away our lunch bag. There wasn’t even a crumb left in the chip bag! It was a hit-and-run for most of the birds had flown away by the time Alan got back to take a picture. These gulls needed a paddling! It was a wonderful day. I’m ready to do it again. Well, maybe not until my sore muscles feel better. Knowing how I feel about water, Mom had checked up on me a couple of times before I went. Thanks mom! I made it! Conquering one’s fears! – Al and I started working on our travel trailer early in the morning. After going into town for a part, Al said, ” Let’s go biking.” Without hesitation, I was in my biking riding togs by the time he had the bikes loaded in the truck. It was getting too hot to stay home and work. Biking Mission Beach to Pacific Beach is a great way to spend the day. You never know what or who you will see on your ride. There are so many places to go. 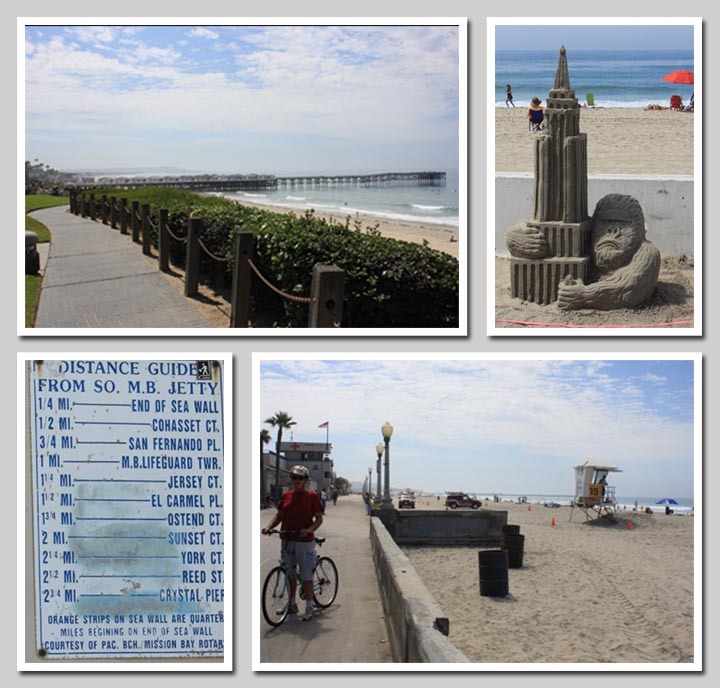 We started out on the boardwalk going North to Pacific Beach, we biked just north of Crystal Pier. This is not a ride you want to do on a busy weekend, since the boardwalk turns into a major traffic jam. The picture in the top left is the end of the boardwalk looking south. You can see Crystal Pier. 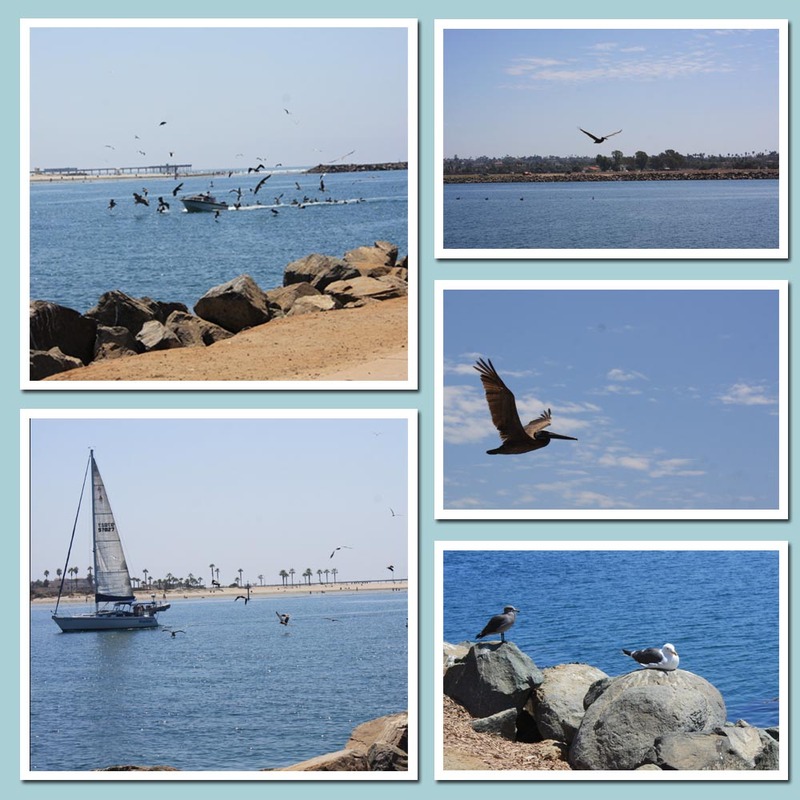 It is 2 3/4 miles from the jetty to the south. 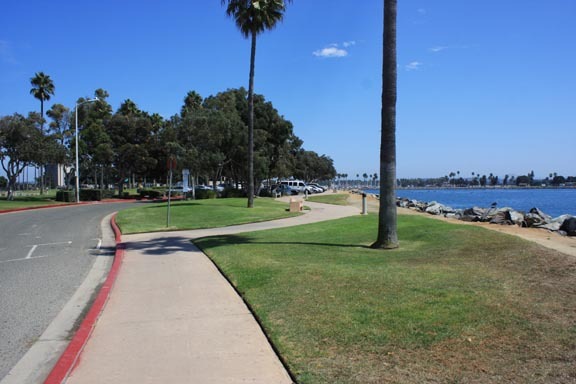 For more information about our ocean boardwalk click here. 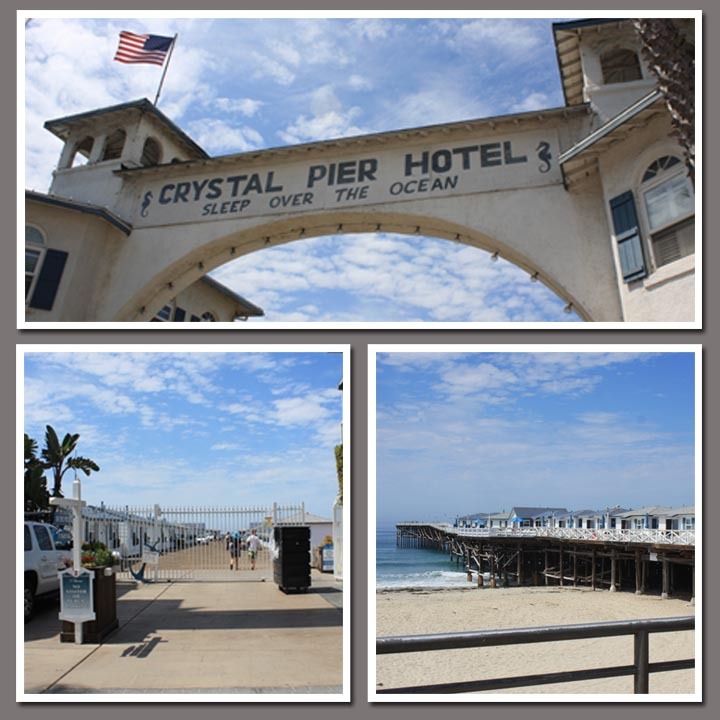 The Crystal Pier cottages are a great place to stay. Al and I stayed in one years ago. The waves hitting the pier lulls you to a sleep. The cottages have been used as Hollywood locations. 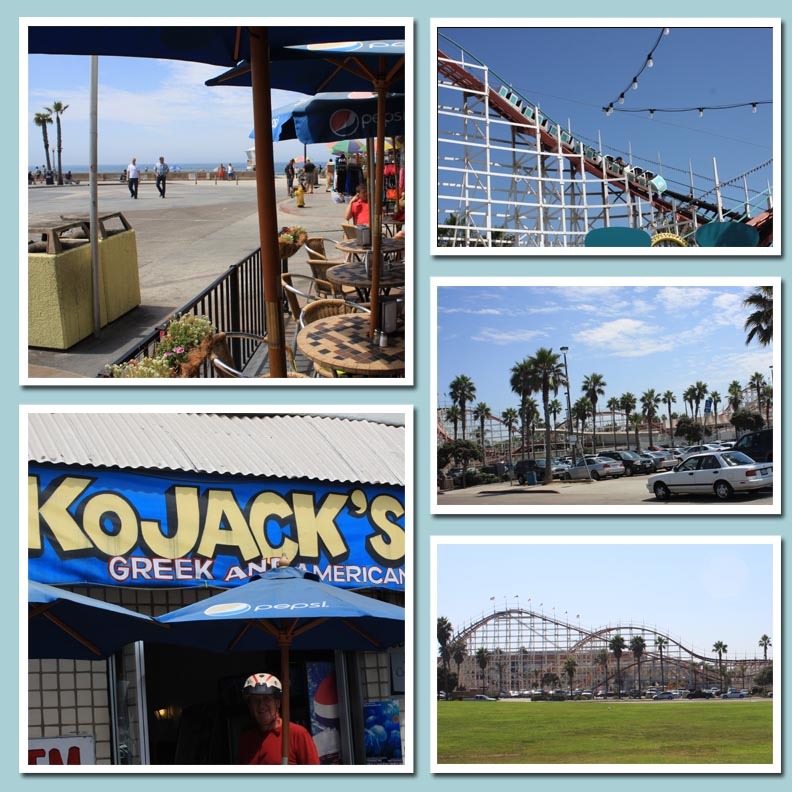 After we biked all the way north, we headed back to Belmont Park and had lunch at KOJACKS, which faces Belmont Park. There are a large variety of resturant and shops surrounding the area. The park started its life as an amusement park back in 1925. One of the oldest, wooden roller coasters, the Giant Dipper, is there and still running. It celebrated is 85th year in 2010 and is on the National Register of Historic Places. When Q and I were kids, it was still an amusement park, and we rode “The Dipper”. After our lunch, we headed south down to the jetty located at the end of the boardwalk. From there we headed over to Mission Bay. So here is the start of the bay side. Look for part 2. 🙂 Lots to see and which way to go. 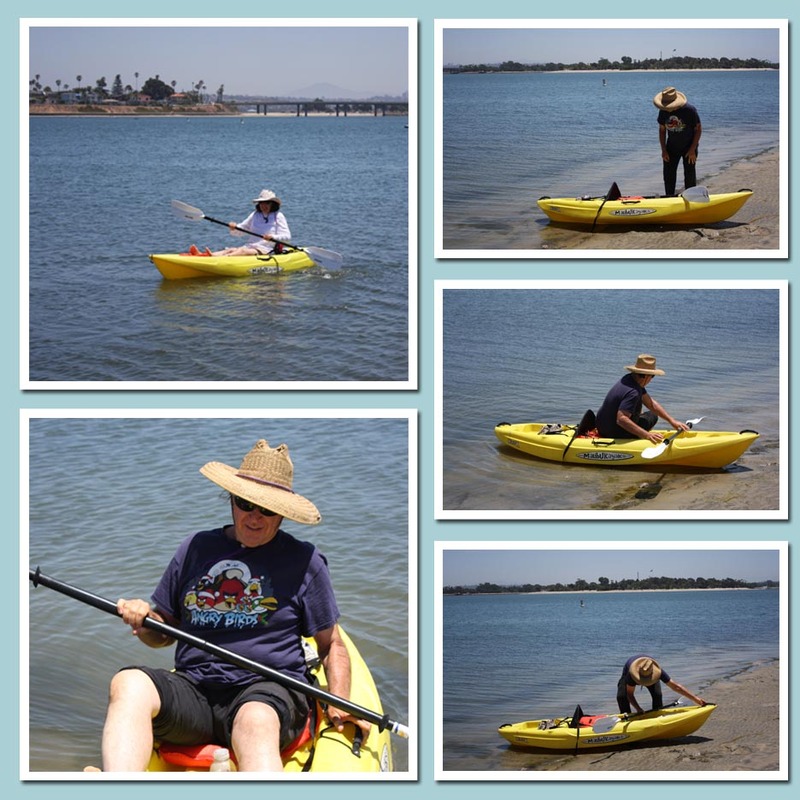 – Al, my coupon wizard, surprised me with a day of kayaking at San Diego Bay. He bought 2 kayak day rentals at a fantastic price. What a wonderful surprise. The weather was great great great. We took a lunch and found a spot. We sat on the lawn and watched the people go by. 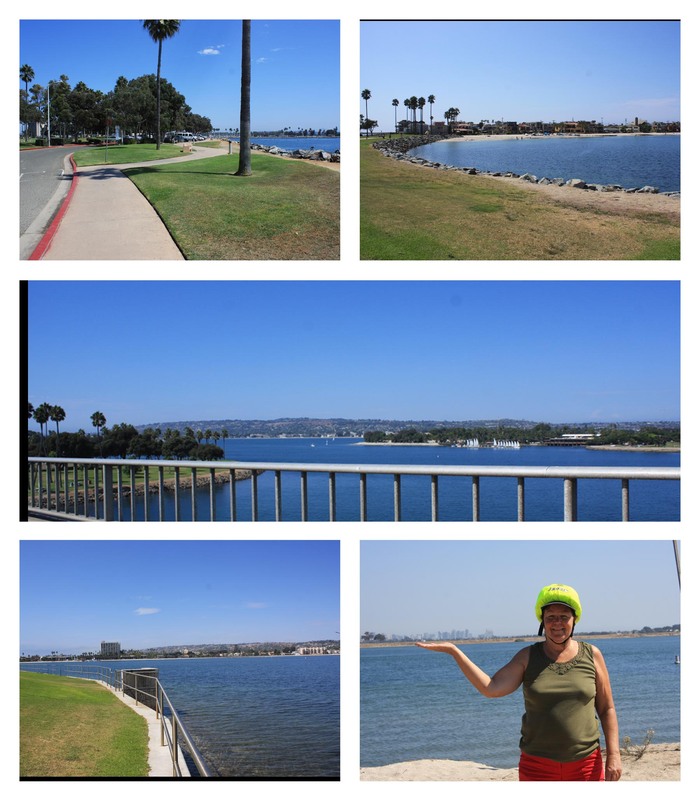 Then off we went to explore another part of the Mission Bay. What a great day it was. I have had a great time going to new places to eat and to play, but this the best so far. 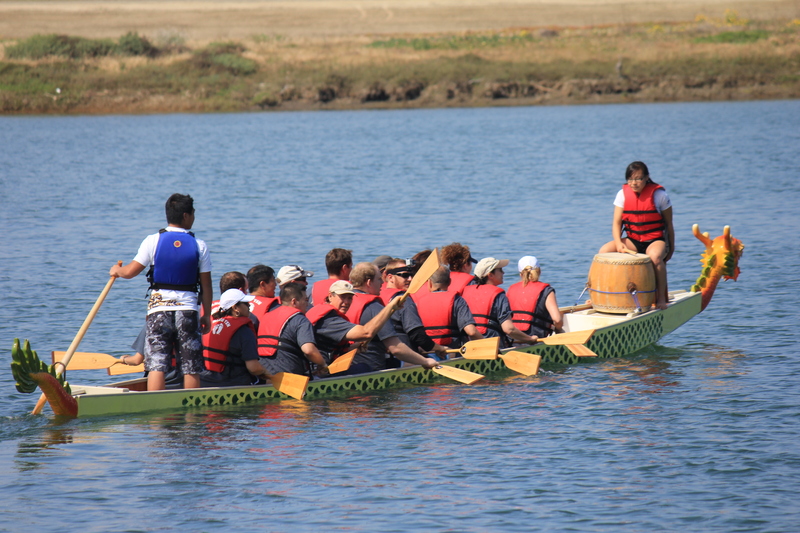 – Dragon Boat Races are highly competitive. 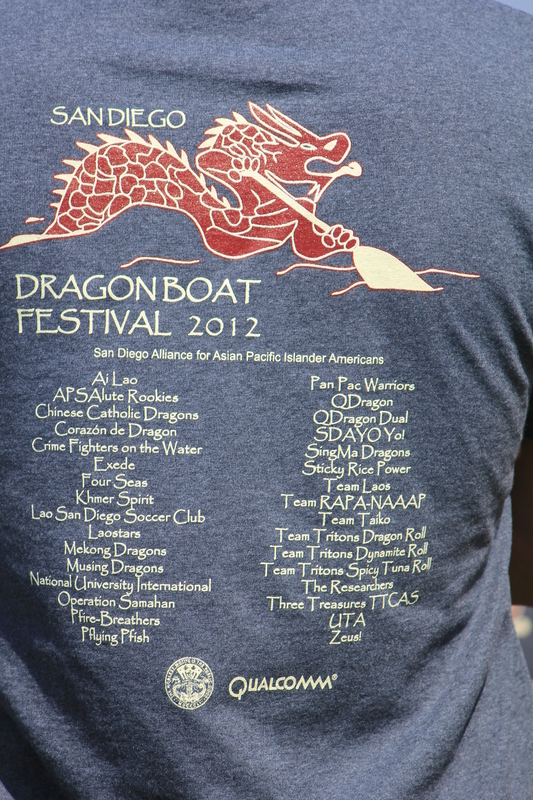 On Saturday, San Diego hosted it’s third annual Dragon Boat Race on Mission Bay. Read all about the history of this unique event and the history of San Diego’s Dragon Boat Race at their web site: www.sddragonboatrace.com. The date of the race is referred to as the “double fifth” since Duanwu is for the fifth day of the fifth lunar month, which often falls on the Gregorian calendar month in June, but it sometimes falls in May or July. This year Duanwu fell on May 5. 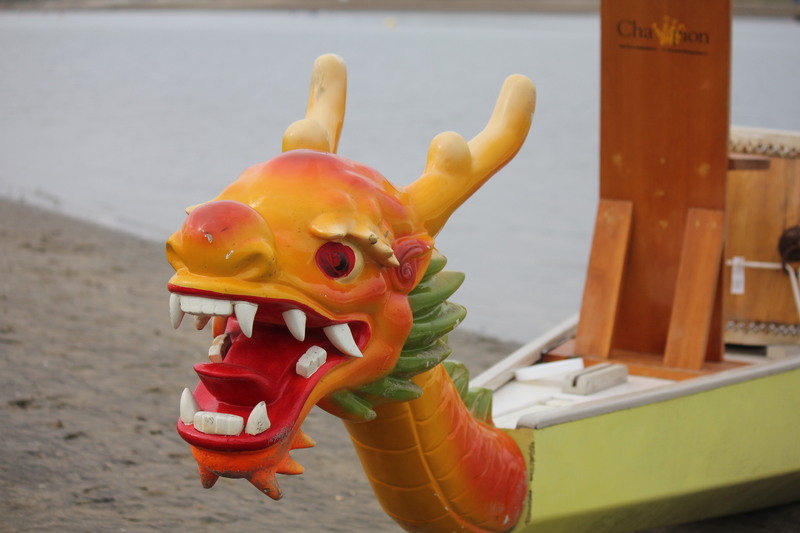 The boats are rigged with a decorative Chinese dragon head and a tail. The dragon’s eyes are covered until the monk whips them open. There is traditional dancing all day. A wide variety of vendor booths are set up. 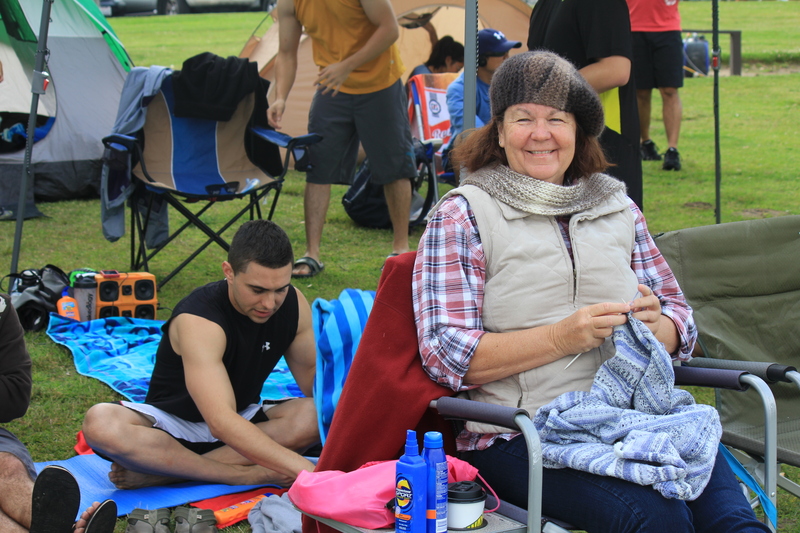 There is an overall feeling of a festival! This was the second time that my husband, Al, competed in the race. Last year his team took second place. As the race has become more popular, more teams and tougher teams have entered. Saturday there were about 30 teams of all ages. This year the teams were a lot harder to beat, so, unfortunately, after 3 races Al’s team was out. For each round, two boats are race against each other, after two losses a team is out of the race. 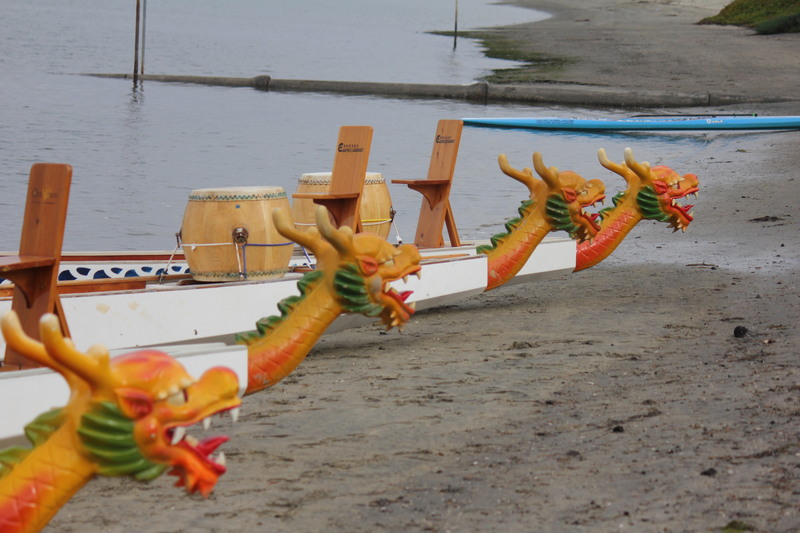 Each boat has a drummer who’s pulsation of the drum is the “heartbeat” of the dragon and sets the rhythm for the rowers. Above are two pictures of Al’s team. The picture on the left shows his team in their dragon boat. Al is the one looking at me with his paddle up. 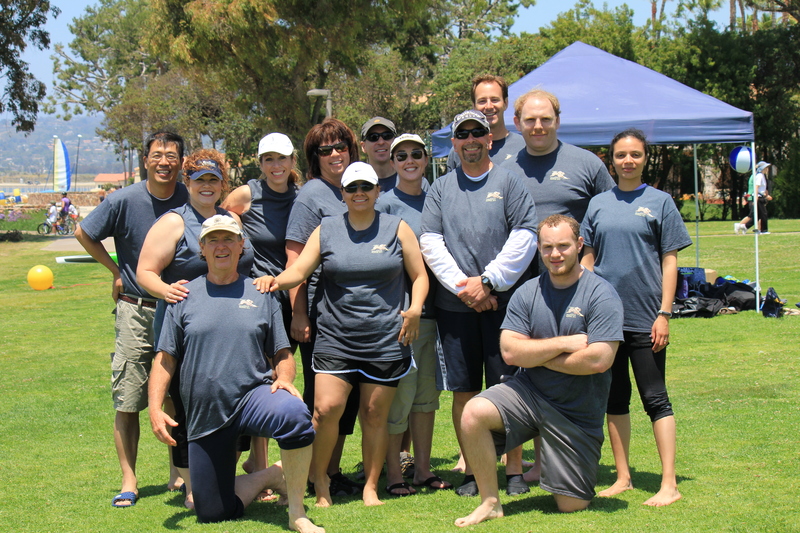 In the right photo he is the team member kneeling on the bottom left. This is how I watched the races! I am busily hand-knitting as I attach a lace border to my machine-knit circular sweater. This is the circular sweater I will be using for demonstration in Large Blocking Projects Part Two. Since my ankle was still swollen, I did my knitting and took pictures from my chair. Luckily I had a front row seat directly in front of the starting line, so it turned out to be a perfect spot to watch the races begin. With the water in front of me it was easy to view the race and take pictures! Primo location!